Taunus Relocation Services accompanies specialists and executives from Germany and abroad through all stages of their relocation to the Rhine-Main region. 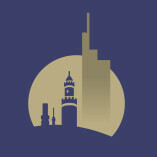 As a specialist for cities in the Vordertaunus and Frankfurt region, we also support... companies in the recruitment process by inspiring potential job candidates and their families with enthusiasm for the region in advance, supporting them in the relocation process and subsequently providing them with advice and practical support. Taunus Relocation Services offers a professional service. Taunus Relocation Services provides custom-tailored solutions. Customers would use the services of Taunus Relocation Services again. Was very friendly and sympathetic. Thank you! Annette and Andrea are very knowledgeable and know the Taunus region, the best areas to live, the schools and other must-know items very well. They were very professional and helped especially my wife tremendously with some of the bureaucratic items (residence permit, doctor visits) which can be a pain if you don't speak the language. I would highly recommend Annette and Andrea to anybody who is relocating to the region. We have stayed in contact with them even after the contract had been fulfilled. I had contacted several relocation agencies but Taunus was the first to respond. They provide the list of actions, some things that I had not thought of. Annette had done a lot of leg work on my case before our first meeting. She recommended a good moving company, and assisted greatly with the sale of my car. She also was a tremendous help navigating other matters. She was very pro-active, prompt, professional, friendly, and efficient. She follows up on all action items until completion. Annette's support in navigating a complex international move back home was vital. I would definitely recommend Taunus Relocation! I am a completely satisfied customer.